Writer Dale Eldon often poses medical questions to me but one question that seemed pertinent for his writing vice was whether or not zombies are a real-life medical possibility. The truth, even for the fiction writer, has to be grounded in realism for the reader to buy in. You either have to work from reality or create a believable story world from scratch. Here's a post I did for him on The Walking Dead. So, are there real life examples of something dead coming back to life? In fact, there are. There are three aspects to consider. One: Let’s examine the compliant aspect of being a zombie. Is it possible to create a wholly compliant individual? Someone without individual will power? 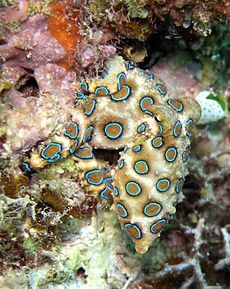 Let’s consider TTX, the neurotoxin found in the blue-ringed Octopus. If this toxin is absorbed through the skin, it’s akin to having a frontal lobotomy and may lead to a compliant individual. Your personal zombie minion. You can find out more about TTX at the Writer’s Forensic Blog hosted by D.P. Lyle: http://writersforensicsblog.wordpress.com/2011/08/17/q-and-a-what-are-the-toxic-effects-of-a-poisonous-octopus-bite/. Two: Someone that is alive is actually declared dead. One truly frightening aspect is that sometimes lay people and even medical professionals aren’t all that great at determining whether or not a person has a pulse. This influenced changes to how the American Heart Association teaches CPR. Now, it’s encouraged to not spend more than 10 seconds trying to figure out whether or not a person has a pulse. If they’re not responding to you and you can’t find one—just start CPR. If they are conscious, they’ll let you know. If not, they likely need CPR anyway. We’ve all heard the legends of corpses being found with nail marks in the lid. Well, how about the story from 2011 of a South African man who was presumed dead and brought to the morgue by his family and placed in the freezer-- only to wake up about a day later amongst the truly dead and decomposing. You can find that story here: http://abcnews.go.com/International/south-african-dead-man-wakes-screaming-day-morgue/story?id=14154534. Three: Are there real-life examples of things that are truly dead—no pulse, no breathing, no brain activity—yet, come back to life. 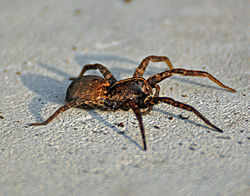 Let’s take the case of the wolf spider. A French researcher, Julien Petillon, decided to find out and submerged them in water for several hours—like 16. Now dead, they did come back to life. Check out more on this story and what he says about the 16 hour time frame and its significance at: http://www.msnbc.msn.com/id/30348224/ns/technology_and_science-science/t/drowned-spiders-come-back-dead/. So yes, I would say there are examples of zombie behavior in our world. The compliant individual, those presumed dead but still alive, and those that have died yet are reanimated. What zombie-like plot can you come up with based on these real-life examples? Author Question: Can Chloroform be Sprayed? Would chloroform, if shot out from a spray toward the victim, be effective for making a person pass out right away? Depends. Are you inside or outside? "Chloroform can easily be carried in water, and when it is exposed to oxygen and sunlight, a chemical reaction forms phosgene, a toxic gas. If chloroform is exposed outdoors, the phosgene will break down and ultimately become harmless, but in enclosed spaces, it can be highly dangerous: in addition to use in modern manufacturing processes, phosgene had a historical use as a deadly chemical weapon in both World War I. In groundwater, chloroform will build up and take a long time to break down, because it is not readily water-soluble. For this reason, most environmental agencies set safety levels for chloroform content, so that water can be routinely evaluated to see whether or not it poses a threat to consumers." Must the substance be sprayed? I'm not aware of any substance that could be sprayed that would just knock a person out, leaving them relatively unharmed with their breathing intact. After all, the police would probably readily use it in their work as it wouldn't be as irritating as pepper spray, the taser, or as lethal as a bullet. Quick post to announce the winner of Peter Leavell's Gideon's Call. I'll be e-mailing you tomorrow. Monday: Author question! I love to do these posts. In this one, I'll tackle whether or not chloroform can be sprayed. Wednesday: Some Halloween fare-- are there real life zombies? Hmmm, check here to find out. Friday: What exactly does a drug screen test for? I'll give some ER nursing thoughts here. Now, off to save some lives. I'm so pleased to host fellow author, Peter Leavell, and his real life story of a unique medical diagnosis. First hand accounts help writers learn what it's like to walk in someone else's shoes. 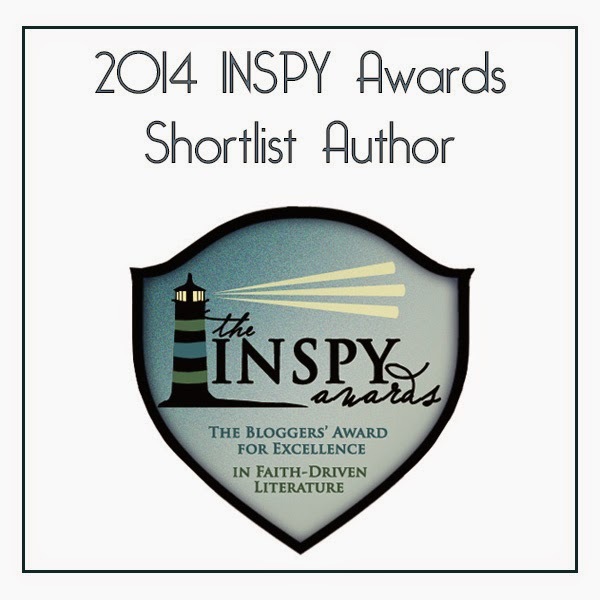 Peter is the winner of Christian Writers Guild's Operation First Novel Contest! Peter is finishing up his two part series today. Peter has graciously agreed to give away one copy of his book to a commenter drawn at random. To enter, simply leave a comment that includes your e-mail address on either of Peter's posts. Drawing will take place Saturday, October 27th at midnight. Winner announced here at Redwood's on Sunday, October 28th. Somewhere in the several weeks it took to get the blood test results back, I received an email that said I was an Operation First Novel semi-finalist. And then an email that said I was a finalist for Gideon's Call. I read it over and over again. From my bed. Finally the blood test results came in and the doctor called me. Come in, he said. No appointment needed. I stopped making testosterone. Here’s his exact quote. The trouble was, as fast as my muscles were deteriorating—well, the heart is a muscle. So a pharmacy overnighted a bottle of testosterone into Boise, a gel I could put on like a deodorant. What about the sun’s heat exploding from my body? I’m proud to say that I was going through male menopause. Yep, hot flashes, body aches, and changes in how my body responded to everything. I even started eating broccoli. After a month, I still didn’t feel great, but made reservations to the Christian Writers Guild Conference, where the winner of Operation First Novel would be announced. Before packing up to go, I started feeling better. My body recovered enough to drive the 800 miles from Boise to Denver. And there, I stood with the other finalists under the rueful gaze of Jerry B. Jenkins as he announced the winner was Peter Leavell. And I felt a shock burst through my body. I spent the rest of the conference as if staring into the sun. Instant fame, articles, speaking opportunities, and I don’t have to do a bit of it in my power. Because I know Jesus wraps his arms around me. He will be with me every step of the way. Because I need Him. My body is 65-75% of what it was before, now a full year after I’ve fallen ill. My mind still suffers from panic attacks while two conversations happen at once. Although, I can’t decide if that’s the normal male mind. It’s just enough of an issue to realize I must rely on Him for my strength. But that’s okay. Because, to the relief of my family, He took me from that deathbed and gave me a new life. And His arms are wrapped around me. And I love Him. And that’s all that matters. Peter Leavell, a 2007 graduate of Boise State University with a degree in history, was the 2011 winner of Christian Writers Guild's Operation First Novel contest. Peter and his family live in Boise, Idaho. For entertainment, he reads historical books, where he finds ideas for new novels. Whenever he has a chance, he takes his wife and two homeschooled children on crazy but fun research trips. Learn more about Peter’s books, research, and family adventures at www.peterleavell.com and on his Facebook page: https://www.facebook.com/PeterLeavell. I'm so pleased to host fellow author, Peter Leavell, and his real life story of a unique medical diagnosis. First hand accounts help writers learn what it's like to walk in someone else's shoes. Peter is the winner of Christian Writers Guild's Operation First Novel Contest! Peter will be blogging today and Friday. Late last year, I lay on my deathbed. I’d just finished my manuscript for Gideon's Call and sent it off to Operation First Novel, a contest put on by the Christian Writers Guild that offers the winner a publishing contract and a check for $20,000. But the contest was the last thing on my mind as my energy waned. In less than a week, I’d gone from running fifteen miles every other day to barely able to rise from bed to use the bathroom. Devastating for a 35-year-old man with a wife and two youngsters. I felt like a character in a book. ‘What can we do to make his life a nightmare?’ I ask myself when writing. Was God doing the same with me? My wife took me to emergency care, where our family doctor practices. He couldn’t do much without blood tests, so seven vials later I was home, waiting to find out if I had cancer or diabetes. Both run in my family. A firm belief has always been a part of me—everything happens for a reason. But I didn’t know why my health was falling apart. I’d always been active. My record is writing 10,000 words in a single day. It only took three years for me to get my history degree. I took care of my wife, who gets headaches at times, shuttled my son to soccer and daughter to ballet, held a full time job, and remained active in my church. I was valuable to God. He needed me. But I didn’t need Him. I gave Him His due. Of course I did, He gave me the talent. But in the end, it was Peter Leavell I relied on, not Jesus. Because of my drained energy, I was no good to my wife, my children, and my God. I’d failed them all. Watching my children worry about their father tortured me. But what could I do? My wife took them to their classes and sports. And writing was no longer an option, my brain turning to mush—a fog so deep I can’t remember many details. Panic attacks struck for many causes, mostly more than one voice or conversation at the same time. My muscles atrophied within a week and a half. And an odd sensation of heat swept over me, as if lava was boiling up from inside me. As I searched the scriptures to find my lesson, I was guessing it would be about humility. I admitted I was a bit proud. But a verse came across my mind and stuck there. Hebrews 13:5. NIV. Never will I leave you; never will I forsake you. And I realized at that moment, even though I offered Christ nothing, His arms were wrapped around me. He loved me even if all I could do for Him is love Him back. So I did. I loved him with my feeble heart. And I knew that even though I’d never thought I needed Him, His arms had been wrapped around me my entire life. It took this sickness to understand it. Part II will be on Friday. Peter Leavell, a 2007 graduate of Boise State University with a degree in history, was the 2011 winner of Christian Writers Guild's Operation First Novel contest. Peter and his family live in Boise, Idaho. For entertainment, he reads historical books, where he finds ideas for new novels. Whenever he has a chance, he takes his wife and two homeschooled children on crazy but fun research trips. Learn more about Peter’s books, research, and family adventures www.peterleavell.com and on his Facebook page: https://www.facebook.com/PeterLeavell. Today, JoAnn Spears concludes her fascinating observations on Queen Anne's obstetrical history. I know that I sure learned a lot. You can find the previous installments of this series by following the links: Part I, Part II, and Part III. Thank you JoAnn for such a wonderful look into this woman's life. Part Four: Was Diabetes the Cause? Diabetes may be the most likely culprit in Queen Anne’s story. Her first three pregnancies went to term, and resulted in two healthy children. Statistically and fertilely, Anne, at that point, was par for the 17th century reproductive course. From there, though, things went terribly wrong. The beginning of this downhill descent, 1687-88, coincided with the death of two of Anne’s daughters from smallpox. 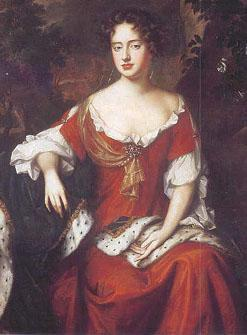 It also coincided with her father’s ascent to the throne and his loss of it during the Glorious Revolution. The familial loyalties and betrayals involved in this were deep and complex, and Anne was not a deep or a complex person. The compound stress must have been enormous. She was eating, and probably drinking, heavily. Might Anne have developed diabetes around the time of, or during, her 4th or 5th pregnancy? Anne’s lifestyle was characterized by overindulgence. She was not very active; her preferred recreation was playing cards. She would certainly be at greater risk than most for developing diabetes during a pregnancy, and unconsciously fueling the diabetic trajectory with her personal habits. Uncontrolled diabetes is associated with a host of poor fetal and neonatal outcomes. Unusually low or high birth weight, premature birth, cardiac or skeletal anomalies, neurological problems, cerebral palsy, lung immaturity with RDS (respiratory distress syndrome), and even intrauterine death are some of the sad set of possibilities that Anne may have run the gamut of. Unfortunately, medical descriptions of the babies Anne lost or miscarried are sadly lacking. Diabetes is a progressive condition. Anne became increasingly obese and debilitated as she aged, bringing to mind her distant relative Henry VIII. Both Henry and Anne had pains in their lower extremities that prevented them from moving about well. This may have been peripheral neuropathy associated with diabetes in both of their cases. Anne and Henry also had chronic, non-healing leg ulcers, another diabetes symptom, in common. As his desperate attempts to father sons were ended by his declining physical condition, the morbidly obese Henry VIII had lifts and other machinery devised to move his unwieldy body around. It’s said that Queen Anne had this machinery refitted for her own use as her own health began to fail. If it’s true, it’s an ironic footnote to the two saddest stories of infertility in English history. 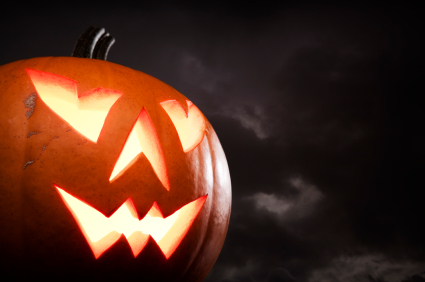 Are you getting geared up to enjoy some Halloween Spooky FUN?!? I just started watching the last season of Dexter as a treat for finishing the rough draft of my third novel, Peril,-- now its official title. I know-- strange way to celebrate but I am a suspense novelist so it really is a treat. Peril will release next year about this time. So crazy to be finishing books that won't be seen for what seems like soooo long but the time does go by quickly-- at least for the author. Congratulations, Heather! 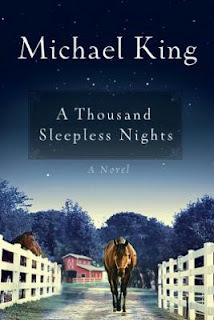 You won Michael King's book, A Thousand Sleepless Nights! I'll be e-mailing you. But don't despair if you didn't win-- I've got another great giveaway this week. Details below. Monday: JoAnn Spears concludes her series on Queen Anne's obstetrical history. This has been super fascinating where JoAnn offers her nursing insight into historical monarchs. Queen Anne was very fertile but sadly, none of her children lived. I've linked the other parts here for you: Part I, Part II, Part III. Wednesday and Friday: So excited to host author Peter Leavell. 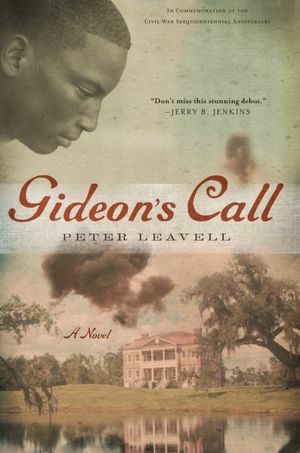 Peter was the winner of Christian Writers Guild's Operation First Novel contest. He's offering a chance to win his novel, Gideon's Call, simply leave a comment with your e-mail address on either of his two posts. Must live in the USA. Winner announced here next Sunday. Hope you all are fabulous. Stay safe carving those pumpkins. 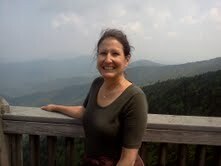 I'm so pleased to host a new guest blogger, Dr. Kate O'Reilley, anesthesiologist extraordinaire. 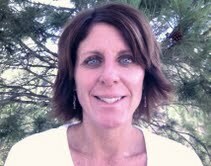 Today, she's talking about an anesthesiologist's main job-- putting you to sleep-- in a good way! I'm so honored and pleased to host author and friend Michael King. Mike is many things: husband, father, physical therapist and cancer survivor. I do like to host people who can give first hand accounts of medical issues to offer insight. These posts help authors walk in someone else's shoes as a way to deepen our writing and understanding. 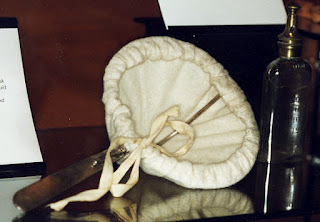 JoAnn Spears continues her series on Queen Anne's very interesting obstetrical history. You can find Part I and Part II by following the links. Hope you are well and enjoying some beautiful autumn weather where you live. I am busily trying to wrap up book #3 of my Bloodline Trilogy now officially titled, Peril. Must keep typing!! Monday: JoAnn Spears continues her wonderful series on Queen Ann's obstetrical history. JoAnn always offers great insight and I know you'll enjoy her post. Wednesday: Author and friend, Michael King, stops by. Is there a purpose in suffering? Mike is a husband, father, author and cancer survivor so I think he brings unique perspective to this question. Mike is giving away a copy of his new book, A Thousand Sleepless Nights, to one commenter on his Wednesday post so be sure to stop in for details. Friday: New blogger and anesthesiologist, Kate O'Reilly, MD, stops in to discuss the inhaled substances given by anesthesiologists. It'll be a gas (yes, yes, yes-- pun intended). 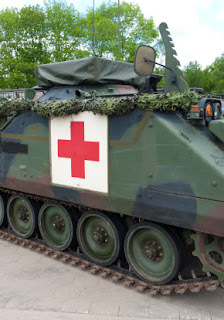 I'm so pleased to have Nelda Copas return for a look inside military medical operations. From surgical care to physical therapy to blood supplies, the military medical system is moving its assets closer to the front lines to be more responsive to patient needs and, when possible, to return wounded troops to duty faster. At the same time, the military is boosting know-how about treating combat casualties so everyone on the battlefield, regardless of job specialty, knows the most basic steps to take to help save a life. Operations in Iraq and Afghanistan represent the first time these concepts, which the Army started introducing about eight years ago, are being applied in combat. A commander of the U.S. Army Medical Department Center and School at Fort Sam Houston, TX, said the trend reflects research about injuries, particularly trauma injuries. "What we have found is that the sooner you get to people after they have been wounded, the better your chances of saving them," he said. That's particularly true of injuries involving extensive blood loss, because that's what kills people on the battlefield if they don't die instantly. So the sooner we can get the medical people to them, the better the outcome. Recognizing the importance of quick care for wounded troops, the Army started beefing up its training programs — introducing a three-day combat lifesaver course taught to all soldiers in their units and creating a whole new job description for combat medics, who receive their training at Fort Sam Houston. In addition, the Defense Medical Readiness Training Institute here prepares doctors, nurses, physician assistants and other medical service corps professionals from all military services for the rigors of combat and the challenges of providing patient care on the front lines. Even more important as increasing expertise about combat lifesaving is, getting it as close as possible to the patient. In response, each Army company typically includes four to five combat medics, who operate "right there where the action is happening." In addition, forward surgical teams, 20-person units that include three surgeons and an orthopedic surgeon are being assigned at the battalion or brigade level. These teams move alongside the combat forces during the early, "maneuver" phase of operations in Afghanistan, cutting medical evacuations, when necessary, to less than 20 minutes. These teams offer not just trauma care, but also a full spectrum of services ranging from physical therapy to preventive medicine. So not only can we treat them far forward, we can prevent them from getting sick and needing to get evacuated. First off, I am a fan of this show where fairy tale characters have been thrust into real life in current times. The show centers around the actions of Snow White's step-mother the Evil Queen. She is the head meanie on the show and her curse thrust them all into our realm of existence. Of course, the red apple comes into play. Said evil queen wants to get rid of the one chracter who can lift her curse-- but instead her son takes a bite of the poisoned apply turnover and falls ill.
One thing I love to hate about television shows is their one lined-medical-declaritive statement. In this episode, when the child who consumed the poisoned pastry was rushed to the hospital-- unconscious-- the physician takes one look into his pupils and says. "Well, there doesn't appear to be any signs that he ingested a neurotoxin." Wow! Really?!? Just one look at his pupils told you that. Hmmm--- how about the fact that he is unconscious. That could be sign #1. LOC or level of consciousness is considered by some to be the most sensitive indicator of how good or how bad your brain is working. So, a patient that is unconscious-- well, something is affecting the brain. It may not be stemming from the brain itself but it is making the patient ill enough that they're "lights out". And yes, a neurotoxin can do that. 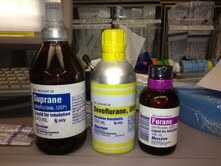 Next-- there are lots of different types of neurotoxins and how they effect the body. So, quick lesson. Try not to make declaritive statement. They are likely to get you into trouble. And really, Once Upon a Time-- nurses DO NOT wear caps anymore. JoAnn Spears is doing a four part series on Queen Anne's obstetrical history. It's very fascinating. You can find Part I here. Part III here. Part Two: What happened to Queen Anne? 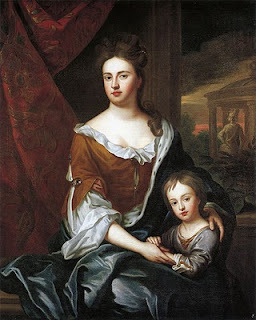 A health history marked by seventeen or eighteen pregnancies and no surviving children staggers the modern mind, but it is only one part of the medical history of Queen Anne the Good. In terms of childhood health, Anne was probably like she was in so many other ways–middling. She survived smallpox. She suffered from some sort of eye ailment, described as a defluxation, or preponderance of tears. It sounds like a fairly minor problem, but apparently was concerning enough for the child to be sent to France for treatment at a time when travel could be dangerous. The young adult Anne was healthy enough to marry at the usual age, and by all accounts thoroughly enjoyed conjugal relations. Married in 1683, she was pregnant pretty much annually until 1700. Anne’s obstetrical history is variously reported. It appears her first child, a girl, was stillborn. Her next two children, daughters, were born healthy. Unfortunately, smallpox claimed both daughters within days of each other when they were tots. Three unsuccessful pregnancies followed. Then, in 1689, William, Duke of Gloucester, was born, and survived. Baby William, according to medical report and portraiture, had a large head. Possibly, he had hydrocephalus, or fluid in the skull. Nowadays, hydrocephalus can be effectively treated with surgical shunting, but that was not the case in Queen Anne’s day. Brain damage of some kind would be expected. Some sources describe young William as delicate and backward; others describe him as quite a clever child. He clearly had difficulty with balance, walking, falling down, and getting up. This was attributed by his caregivers to his disproportionate head size. It is worth noting, however, that Anne’s grandfather, Charles I, walked at a very late age, and only after his weak and rickety legs had been braced. William’s birth was followed by at least ten pregnancies (one with twins), all resulting in miscarriages or stillbirths. Sadly, William of Gloucester eventually died in adolescence of pneumonia, leaving Anne childless. Around the time Anne’s pregnancies ceased, other physical infirmities began. Gout was one of them. Nowadays gout refers to a specific metabolic problem that affects particular joints. In Anne’s day, it was a catch-all term for pain. Her ‘gout’ sounds more to modern medicine like migratory arthritis or arthralgia, pain making its way all around the body, caused by an autoimmune condition such Systemic Lupus Erythematous (SLE). Anne is reported to have had the facial redness or rash associated with such disorders. Anne’s was also morbidly obese. She liked her food and drink, and was aided and abetted in overindulgence by her like-minded husband. Her being nicknamed ‘Brandy Nan’ at a time when a degree of abstemiousness was expected in women hints at the possibility of actual alcohol abuse or alcoholism. 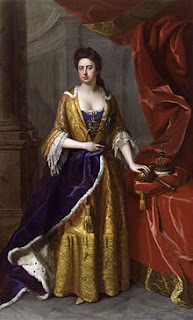 Anne’s weight and debility necessitated her being toted to her coronation in a litter in 1702. She was unable to walk much on her own. Anne died in 1714, a martyr to her ill health. She had become so overweight that her coffin was described as almost square; it required fourteen men to carry it. A contemporary commented that no sufferer would covet their rest as much as Anne would. Surely, Anne’s phantom children–possibly as many as twenty of them–were on her mind at the very end. What was it that had made her reproductive history go so very tragic? Fall and/or Autumn is here in the Rockies! Fall is my favorite season. There's so much to look forward to. Here's a short list of some of my favorite things. Pumpkin EVERYTHING-- particularly pumpkin muffins and tea with pumpkin spice creamer. I know... what?!? Don't mock it until you try it-- in fact this just reminded me to restock my tea cache-- post haste! Scary movies! I am a suspense author by the way and I do enjoy scary movies. Recently saw Possession-- the one with Sarah Michelle Gellar. Interesting. And also saw the last installment of the Scream Series which I love because it does so well at poking fun at the genre. Looking forward to seeing Taken 2 with Liam Neeson. Can't get much better than that. The first film was fabulously scary. I have the last season of Dexter just waiting for me as a reward for when my latest novel is done. I know that's a little frightening... but... suspense author. How about you? Do you like autumn? What are your favorite things? Monday: JoAnn Spears continues her case study on Queen Ann and her obstetrical history. Truly fascinating and JoAnn does such a great job bringing interesting facts. Well, she is a nurse so of course she's wicked smart! Wednesday: Why the television show Once Upon A Time rakes my nerves. And yes, it does involve a medical situation. Friday: My friend, Nelda Copas, returns to talk about combat medicine. Have a great, autumnly week. We're continuing with Amy's question. Dianna gave her thoughts here. I'm going to give my thoughts from an ER perspective. I am putting one of my characters in a pretty major car accident -- a rollover in which she lands on a broken window and ends up with a lacerated back full of broken glass, in addition to a broken leg, fractured ribs, etc. I need a scene to take place in the hospital where she is recovering. With those kinds of injuries, what treatments would she be under? More importantly, how exactly would she be laying in the bed? Obviously not on her back. But would she be on her side or stomach? Perhaps that depends on the other injuries she sustains... but the lacerated back is the biggest one I want her to have. The biggest issue here is that she will likely have to lie on her back for a while. Considering her mechanism of injury (MOI)-- the big rollover accident. The EMS crew is going to be very concerned that she may have injured her neck or back and she will be put onto a spine board and C-collar. To alleviate the pressure on her back, they may then tilt the whole board to one side but it's going to cause some pain to lay on that flat board until her x-rays are complete. Care for lacerations: One, she'll need x-rays of her chest to look for the glass. She'd likely have this anyway for her MOI which could then reveal the rib fractures. If the lacerations are severe and extensive-- she may end up going to the OR so they can be cleaned and stitched up under general but they'd have to be REALLY bad. Otherwise, we irrigate them out with sterile saline. Stitch them up. Antibiotic ointment over top. Make sure she's up to date on tetanus. She would get a shot if she hadn't had any in five years. It's 10 years without injury. Rib fractures are generally problematic because you don't want to take a deep breath because of the pain which can lead to pulmonary problems. Lung contusions can actually put you on a ventilator if they are extensive enough. If several ribs are broken in succession-- this is actually referred to as a flailed chest which can inhibit the patient's ability to breathe. So, I'd keep it simple with one or two rib fractures so the character mostly has to deal with the pain issue and not the lung issues. Amy Drown has a History degree from the Universityof Arizona, and has completed graduate studies in History and Archaeology at the University of Glasgow. An executive assistant by day, she also moonlights as an award-winning piper and photographer. But her true addiction is writing edgy, inspirational fiction that shares her vision of a world in desperate need of roots—the deep roots of family, friendship and faith. Her roots are in Scotland, England and California, but she currently makes her home in Colorado. Find her on Facebook at www.facebook.com/GlasgowPiper. Author questions are some of my most favorite posts to do. How do you really write an accurate medical scene? Which injuries are plausible and which are not? Amy is visiting and Dianna Benson (EMS expert) and myself (ER nurse extraordinaire) are going to tackle her question. Dianna will be today and I'll be Friday. Amy asks: I am putting one of my characters in a pretty major car accident -- a rollover in which she lands on a broken window and ends up with a lacerated back full of broken glass, in addition to a broken leg, fractured ribs, etc. I need a scene to take place in the hospital where she is recovering. With those kinds of injuries, what treatments would she be under? More importantly, how exactly would she be laying in the bed? Obviously not on her back. But would she be on her side or stomach? Perhaps that depends on the other injuries she sustains... but the lacerated back is the biggest one I want her to have. Dianna Says: The story and the characters are first priority, so I’ll make the medical aspects fit into what you’ve explained. 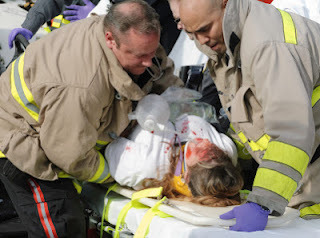 Since it sounds like you don’t have an EMS scene at all (no scene where rescue crews—EMS and fire—are present), it keeps it simple from my end, but I’ll give you pertinent background on what I’d do if I were the EMS crew on your scene. Also, based on the MOI (mechanism of injury) you described, I’ll explain what type of injures are possible. Every patient is different, every MVC (motor vehicle collision) is different, and every rollover is different, so that definitely gives you leeway. First of all: I like the scenario: Your character runs a red light causing another car to slam into hers, which causes it to spin then roll over while her back is dragged on the asphalt over the broken window. I also like the adding of a boyfriend; yes, he’d definitely worsen her injures by landing on her, so have him either land elsewhere inside the car or just have him belted in (unless you want her seriously injured to the point she’s in-hospital for a long while and possibly suffering with lasting effects). Just so you know: The reason for the seatbelt law is not just to protect the person wearing the seatbelt; it’s to protect others from being struck by that person propelling in the air (inside and outside of vehicles) like a weapon. Just a thought -- if she landed on the driver window and it's a rollover, then the car is on its side (driver side) upside down, right? Make sure you're clear about that. 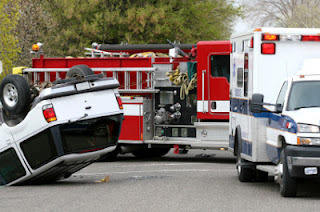 Any rollover is a high index of suspicion of injury; meaning, severe injuries and death likely. You have two separate impacts in this story: 1) Smash from the other car 2) Rollover. Therefore, you have two separate MOI’s and both cause different injuries. Since fiction is about the story and the characters, make the speed of the car fit; meaning, if you want your character(s) to be seriously and extremely injured, keep the speed high. For a character who is injured and needing in-hospital care (not just on-scene EMS treatment and ED treatment) yet doesn’t sustain any life lasting effects or long term damage, then keep the speed down low. Possible injuries for both the side impact and the rollover: Again, every patient and incident is different, and I’ve seen it all—some accidents where based on the MOI patients surprisingly die and some where patients surprisingly live. 2) Air bag deployment: facial injures (soft tissue), labral tear (shoulder), etc. 6) Other possibles: knee ramming into door and shattering patella, elbow ramming into steering wheel, shoulder striking window., etc. etc. 7) Fractured femur or fractured tib/fib or just one of them (tibia or fibula) from twisting or hitting, etc. A fracture is the medical term for broken bone. Assuming the patent is unconscious when I arrive on scene, I’d verify she has a pulse and is breathing efficiently. If so, then I’d control all bleeding via wound care—sterilization and bandaging. I’d strap a C-collar (cervical collar) around her neck then extricate her from the vehicle onto a back board with padded blocks holding her head in place and strapped to the board. I’d splint any dislocations or suspected fractured (I don’t have x-ray vision) if not properly splinted via backboard. We do a ton of medical treatments and monitoring, but I won’t blah, blah, blah it all, especially since you don’t have an EMS crew on your scene.